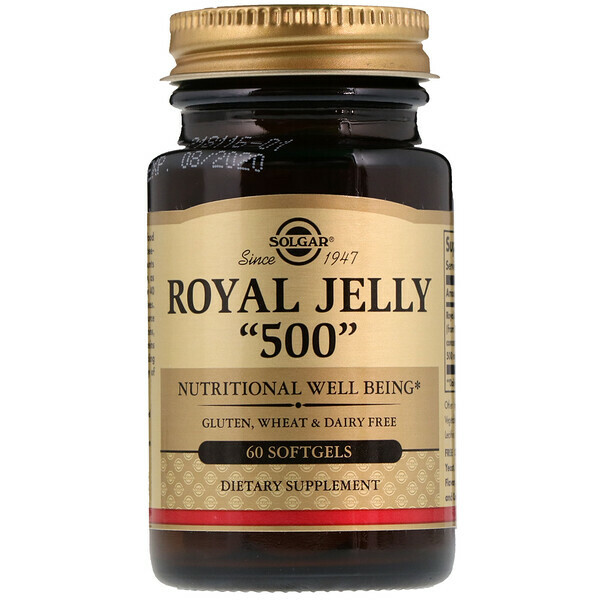 Royal is the only food that the queen bee of a beehive lives on and it accounts for her incredible longevity, as she can live approximately 40 times longer than worker bees. Royal Jelly is a natural source of trace amounts of vitamins, minerals, amino acids, proteins and carbohydrates providing nutritional support courtesy of Mother Nature. Soybean oil, gelatin, vegetable glycerin, yellow beeswax, soy lecithin. If you are pregnant, nursing or taking any medications, consult your doctor before use. Avoid this product if you are allergic to bees or bee products. Discontinue use and consult your doctor if any adverse reactions occur. Keep out of reach of children. Store in a cool, dry place. Do not use if outer bottle seal is missing, torn or damaged in any way.